As much as we enjoy successfully finishing a project in our workshop, we know that the real challenge has often only begun: transporting and installing this huge, heavy construction at our client’s desired location. 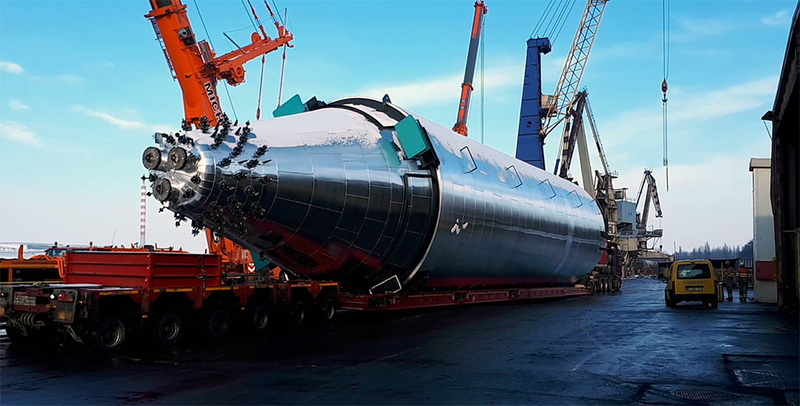 So when we got to load a pulverized coal silo at our quay in Harelbeke and ship it to the site of our client, Arcelor Mittal in Ghent, it was with a lot of enthusiasm, professionalism, and perhaps a touch of nerves that we started this new mission. On site, the silo was transported to the designated zone with a special low-loader (vessel bed). 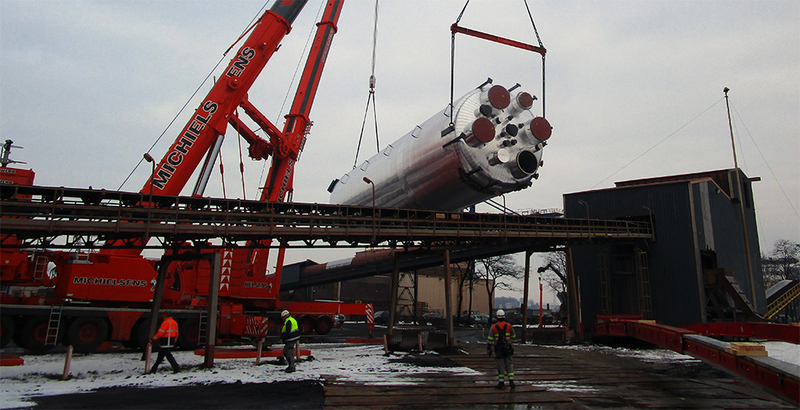 This meant maneuvering the silo under, over and in between several conveyor belts with only centimeters to spare – talk about flexibility! Partly thanks to the weather gods who were on our side, the final lifting onto the silo chair also took place. Watch the movie below to witness this event. Off course none of this would have been possible without a great team to make it all happen!